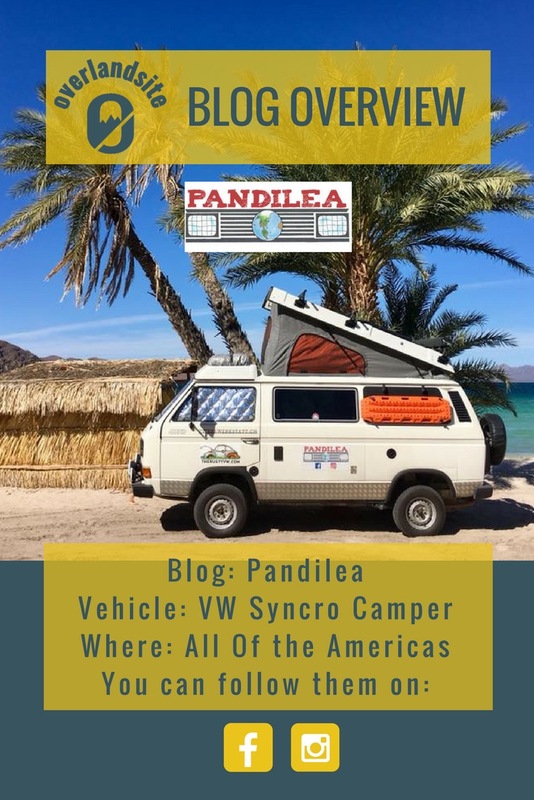 Summary: There isn't really a place where Pam, Andi and their dog Kalea haven't overlanded before, so their overland advice services are well founded! So far they covered an amazing amount of miles and they have further ambitions, so their blog overview will end up in the RTW section soon! Check out the link below the image to follow them and see awesome photos! Or perhaps use their services. 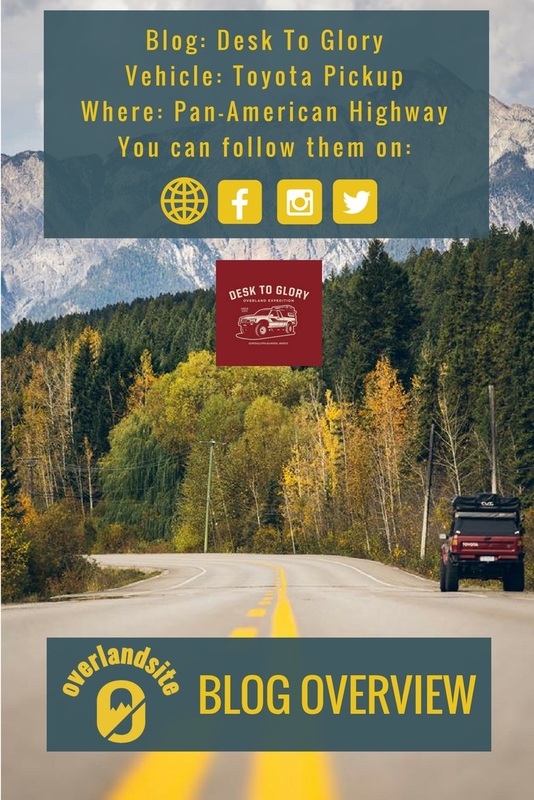 Highlight: their knowledge is leveraged through their overland advice services, go check it out! 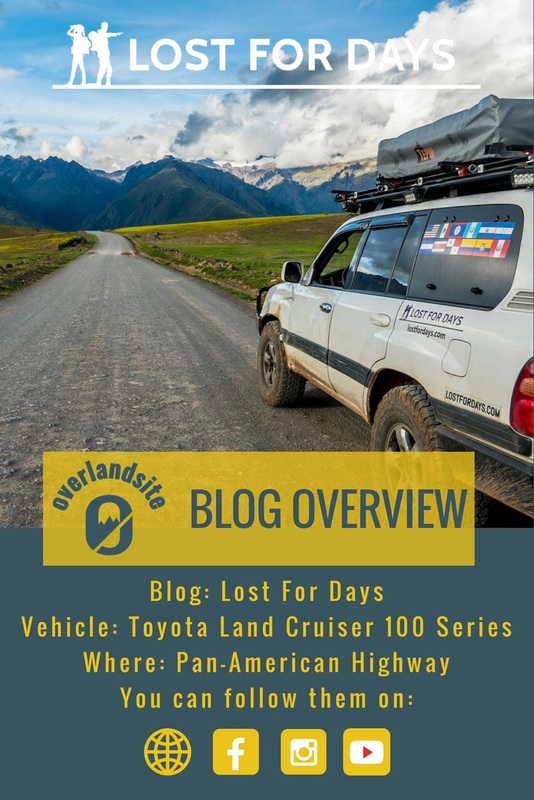 Summary: in true overlanders' fashion, John and Mani realized they need a huge break and there is no better way to have a break from the routines than overlanding on the Pan-American Highway. They have been on the road for more than 1,000 days so you can expect a lot of great information on their blog. Click the link below to have a look for yourself! Highlight: lots of planning advice through their own experiences. 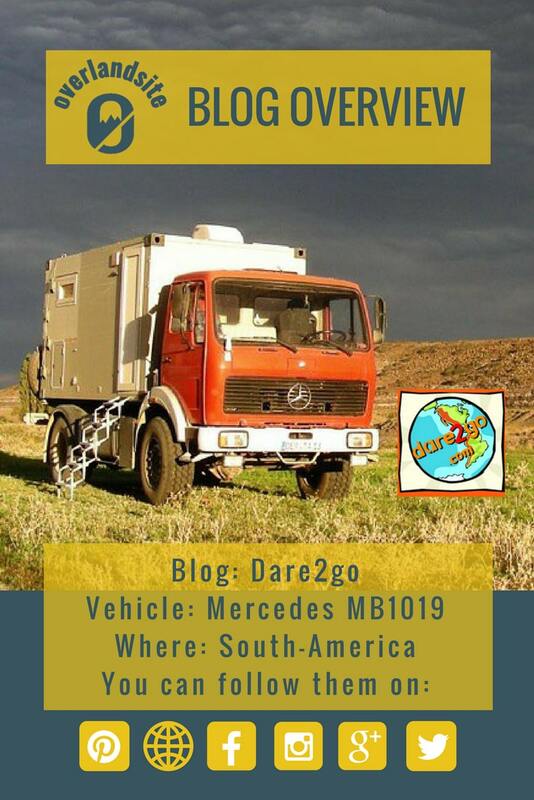 A number of pages are dedicated to planning all aspects of an overland adventure. This is one of the best sites in that regard. 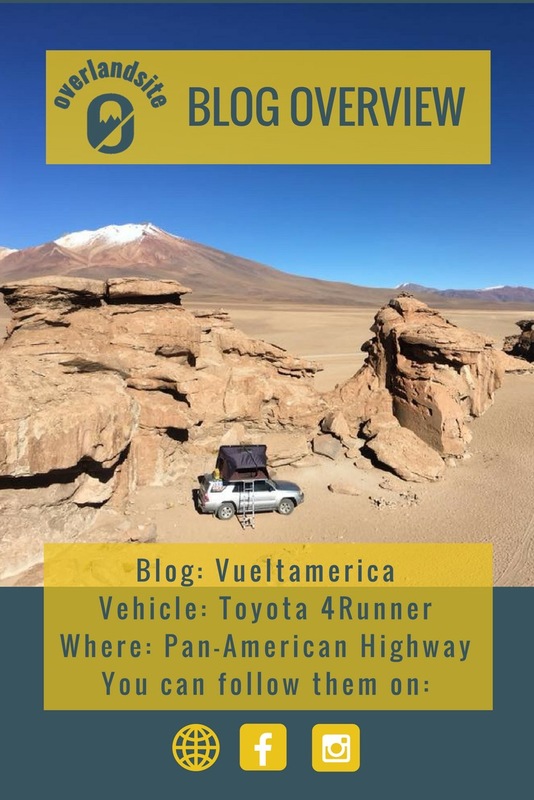 Summary: Yasha and Juergen not only have two South-American round trips behind them, but now they are planning their next one through Europe and the Middle East. Their website contains an immense amount of information from recommended places to great travel advice. Click on the link below to have access to their widespread social media presence. Highlight: You can read upon two great long trips as well as expect new stories from their next adventures soon. Summary: Ashley and Richard, contrary to their age, are veteran overlanders. Their posts on their neat website are a joy to read and their vehicle builds can be read on Expedition Portal's forums. Click on the link below to check our their website or their instagram account that has more than 44,000 followers. Highlight: they have recently added a new 4x4 vehicle to their family. We are looking forward to the updates with that expedition-mobile!